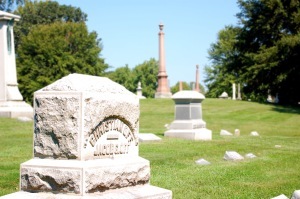 Burrowes Consulting Services and Cemetery Mapping Services, Inc. have been providing services to municipal, church and commercial cemeteries in all parts of the United States since the late 1970's. We're looking forward to a more new ideas and opportunities as technology expands. From our locations in Centerville, Ohio and Indianapolis, Indianapolis we provide support, marketing, and sales of ARCHIVE the web enabled, open source successor to BSM (The Burial Space Manager) and our expanding product line. Currently ARCHIVE provides all of the property management and mapping features familiar to BSM users. Jan and Dave Burrowes have operated BCS and CMS since 1980 to provide a record management system for cemeteries of all sizes. ARCHIVE, our most current version of the BSM (Burial Space Manager) property management software is available to new and current customers. Customers using previous versions of the BSM program can expect to see their data moved forward with a minimum amount of effort. Maps and data can be automatically imported into ARCHIVE.